The widespread idea that infinitesimals were “eliminated” by the “great triumvirate” of Cantor, Dedekind, and Weierstrass is refuted by an uninterrupted chain of work on infinitesimal-enriched number systems. The elimination claim is an oversimplification created by triumvirate followers, who tend to view the history of analysis as a pre-ordained march toward the radiant future of Weierstrassian epsilontics. In the present text, we document distortions of the history of analysis stemming from the triumvirate ideology of ontological minimalism, which identified the continuum with a single number system. Such anachronistic distortions characterize the received interpretation of Stevin, Leibniz, d’Alembert, Cauchy, and others. Piotr Błaszczyk supported by Polish Ministry of Science and Higher Education grant N N101 287639. Borovik, A., & Katz, M. (2011). Who gave you the Cauchy–Weierstrass tale? The dual history of rigorous calculus. 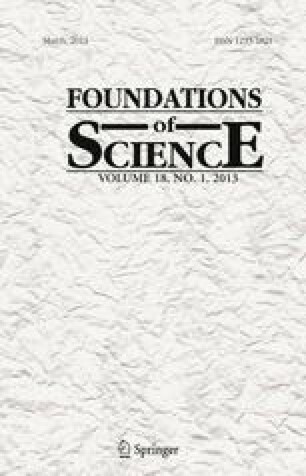 Foundations of Science, see http://dx.doi.org/10.1007/s10699-011-9235-x and http://arxiv.org/abs/1108.2885. Davis, M. (1977). Applied nonstandard analysis. Pure and Applied Mathematics. Wiley-Interscience: New York. Reprinted: Dover, NY, 2005, see http://store.doverpublications.com/0486442292.html. Euclid. (2007). Euclid’s elements of geometry. Edited, and provided with a modern English translation, by Richard Fitzpatrick, http://farside.ph.utexas.edu/euclid.html. Giordano, P., & Katz, M. (2011). Two ways of obtaining infinitesimals by refining Cantor’s completion of the reals. See http://arxiv.org/abs/1109.3553. Katz, K., & Katz, M. (2010a). Zooming in on infinitesimal 1−.9. in a post-triumvirate era. Educational Studies in Mathematics, 74 (3), 259–273. See http://arxiv.org/abs/arXiv:1003.1501. Katz, K., & Katz, M. (2011b). Stevin numbers and reality. Foundations of Science. See http://dx.doi.org/10.1007/s10699-011-9228-9 and http://arxiv.org/abs/1107.3688. Katz, K., & Katz, M. (2011c) Meaning in classical mathematics: Is it at odds with Intuitionism? Intellectica, 56(2), 223–302. See http://arxiv.org/abs/1110.5456. Katz, K., & Katz, M. (2012). A Burgessian critique of nominalistic tendencies in contemporary mathematics and its historiography. Foundations of Science, 17(1), 51–89. See http://dx.doi.org/10.1007/s10699-011-9223-1 and http://arxiv.org/abs/1104.0375. Katz, M., & Tall, D. (2011). The tension between intuitive infinitesimals and formal mathematical analysis. In B. Sriraman (Ed. ), Crossroads in the history of mathematics and mathematics education. The Montana Mathematics Enthusiast Monographs in Mathematics Education (Vol. 12). Charlotte, NC: Information Age Publishing, Inc. See http://arxiv.org/abs/1110.5747 and http://www.infoagepub.com/products/Crossroads-in-the-History-of-Mathematics. Stevin, S. L’Arithmetique. In A. Girard (Ed. ), 1625, part II. Online at http://www.archive.org/stream/larithmetiqvedes00stev#page/353/mode/1up.